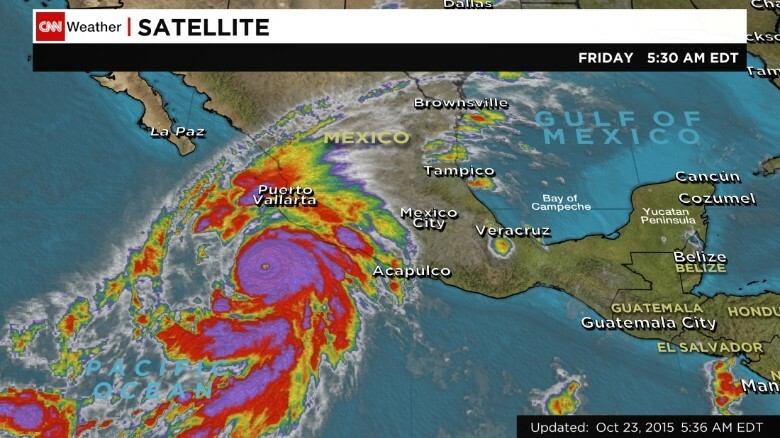 (CNN) Hurricane Patricia — the strongest hurricane ever recorded — weakened slightly Friday as it barreled closer to Mexico’s Pacific coast, with sustained winds decreasing to 190 mph and gusts to 235 mph, the National Hurricane Center said in its latest advisory. We’re getting ready for the rain storm of rain storms. Hurricane Ike in 2008 was the last big storm to flood this area; Patricia could be 2 times as bad. Local weatherman is predicting 3-5 inches, but the national weatherman made it look like 12 inches. Only time will tell. 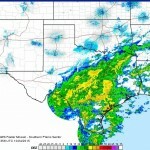 We may be locked in for 2 days or it might be just some rain. At 7:00 AM this morning Patricia was down graded to a Tropical Storm with winds of 50 MPH. By 10:00 AM maximum sustained winds were 35 MPH – further down grading the storm to a Tropical Depression. 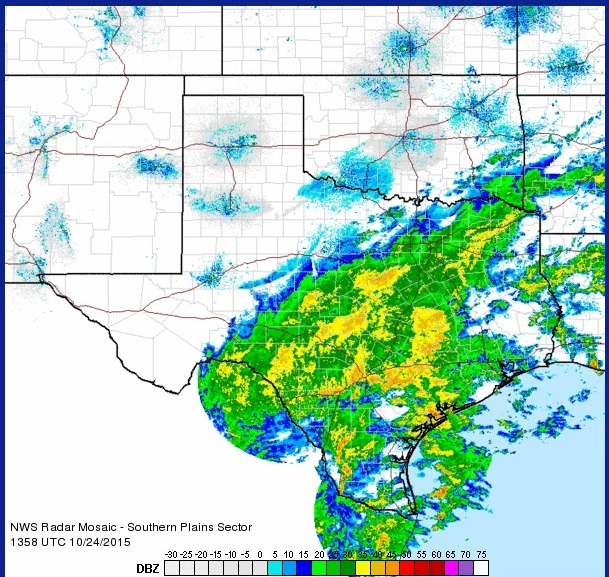 More then half of Texas is in for a sizable amount of rain over the next couple of days.